The Drug Enforcement Administration continues to pressure physicians it believes are over-prescribing opioid medication. This week, they chose one well known to some intractable pain patients – Dr. Forest Tennant of West Covina, California. Tennant is a controversial figure – one who speaks and testifies around the country on the benefits of opioid medication – at a time when the DEA and other government agencies are openly cracking down on physicians and pharmacies. The DEA also looking at a pharmacy in the Los Angeles area that it believes was filling prescriptions for painkillers for multiple doctors. 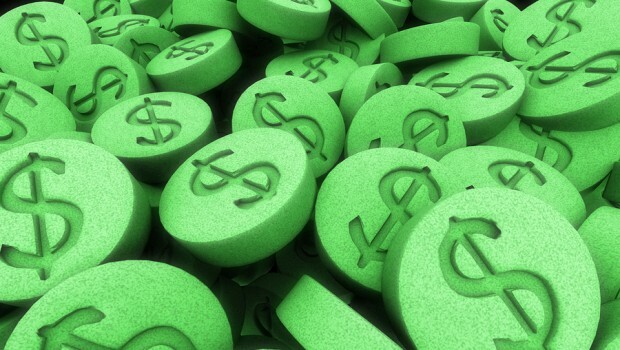 DEA investigators believe the pharmacy, Dr. Tennant and some other medical practitioners are profiting from the illicit diversion of controlled substance. The warrant sought to seize drugs – like fentanyl, hydrocodone and oxycodone – documents and records related to the distribution of painkillers, as well as financial records of payments sent or received by doctors. The DEA is also looking into Tennant’s relationship with Insys Therapeutic, which produces a fentanyl-based nasal spray. Tennant received consulting fees, speaking fees and food and travel reimbursements from the company – which are not uncommon. Insys has its own problems recently when several of its executives – including its founder – were recently indicted for racketeering. They are accused of offering kickbacks to doctors to write large numbers of prescriptions for a fentanyl-based pain medication that’s meant for cancer patients. Most people who received prescriptions did not have cancer. Tennant has come under scrutiny by state and federal authorities before. 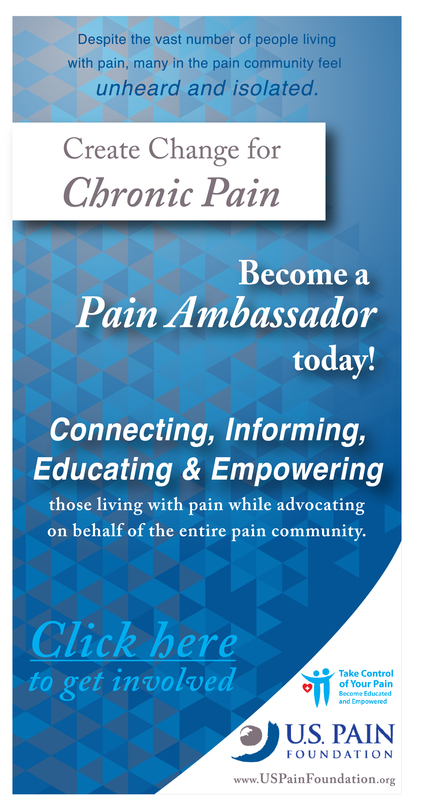 Tennant has some powerful supporters in the chronic pain community, including Terri Lewis, PhD whose has written extensively on chronic pain in the National Pain Report. “Every pain organization, media outlet, and stakeholder must act,” she said. Her full essay on the issue will be published tomorrow (Sunday) on the National Pain Report. The raid on Tennant’s office occurred Wednesday, while he was in Montana where he testified for a doctor who was on trial for negligent homicide in connection with his opioid prescribing. In due respect, the single most important element to every super power nation, (the ones that have the military were with all to push their country’s agenda) after uranium & petroleum, is opium. From a military perspective, you cannot prosecute a war without the “Poppy Plant”. Nothing will demoralize an army faster than the sounds of screaming wounded soldiers on the battlefield. Our country actually delayed the western front, D-Day, the landing at Normandy because of a shortage of Morphine. We had calculated much higher casualties than we had, while Gen. Eisenhower wrote a speech apologizing for the lost attempt to win a beech front in France in case it didn’t work. Why do you think we acted to help the French retain one of it’s pre-war colonial colonies called Vietnam? The U.S. military advisory effort in Vietnam had a modest beginning in September 1950, when the United States Military Assistance Advisory Group (MAAG), Vietnam, was established in Saigon. Its mission was to supervise the issuance and employment of $10 million of military equipment to support French legionnaires in their effort to combat Viet Minh forces. By 1953 the amount of U.S. military aid had jumped to over $350 million and was used to replace the badly worn World War II vintage equipment that France, still suffering economically from the devastation of that war, was still using. The answer for Vietnam was not Communism, it was who would retain control over the “Golden Triangle” which was the largest producers of Poppy and that other plant which is really popular today. Our government (CIA) has been making a fortune since the end of WWII trying to gain control of these wonderfully profitable plants. CIA ran drugs out of Indochina/Vietnam to fund black op’s. Ever here of Air America? How about Iran-Contra? Fast and Furious? How much do you think they are making directing Heroin to the USA Today? The so called “War on Drugs” is the longest on going pile of stinky poo lie to the American people in our short history. “So Robert, What you are saying is our own government is indirectly selling drugs in our country”? ……YES! That is an obam thing,DEA/FDA are from his socialist/communist regime.The crying,blubbering parents of OD’ED addicts caused this travesty along with the crooked left wing gov. who want to be re-elected by their crying/blubbering family of addicts voters. So, thats why all the chronic pain patients are in this mess ! You were correct till the end. No we will not win,we will become a country of ppl who cower at the government heads & police! DEAR, BIG BROTHER !!!! AKA THE GOVERNMENT !!!!! LEAVE US CHRONIC-PAIN PATIENTS ALONE, LET US GET OUR MEDS AND BUST THE STREET DEALERS, WE ARE NOT THEM !!!!!! I knew it was only a matter of time before they went after Dr. Tennant All who oppose big brother will come under attack. All this over what they are calling guidelines, not law. We must all come together on one site and speak with one voice so they understand it is a SCREAM that we won’t stand for it any longer as constituents that are also registered voters along with all our family and friends!! Ed, I have to say…this post just may take the NPR ‘cake’ re: the amount of comments, anger and venting on the subject. You can see how outraged we all are over the DEA attack on doctors now. It’s been bad enough how we CP folks have had to suffer the past 3 years but to now have our doctors being wrongfully scrutinized and brought down truly does seem to hit our hearts hard! It only adds to our great fear and concern of living with increased pain. I agree with everything you say. Concerning bowels I use uncoated Senna Tablets. It is an old patent medicine but is sold under the name Senocot. Use the uncoated tablets. Chew one or two with a meal. Works in 12 hours. 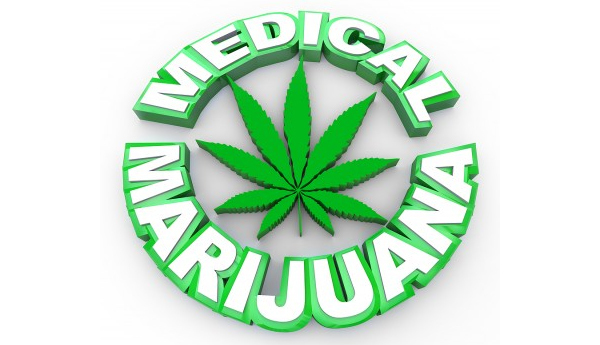 Correct true chronic pain patients don’t get high their pain is slightly better! I haven’t felt my meds for yrs. & I don’t want anything but relief ! 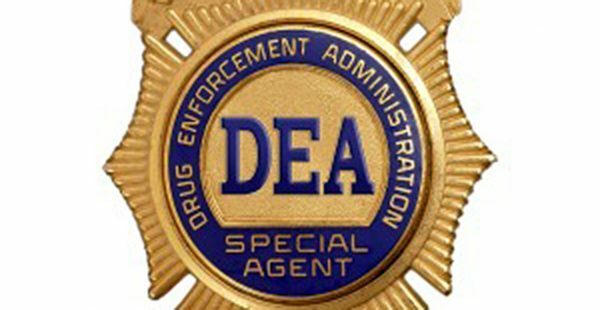 THE DEA IS THE EQUIVALENT OF THE NAZI GESTAPO THE EVIL POLICE. THEY MAKE UP LIES TO GET WARRANTS. THEY ABUSE THIER POWER.. THEY ACTUALLY ARE COWARDS THAT ARE AFRID TOGO AFTER REAL DRUG DEALERS. OCCASIONALLY THEYLL STOP A BOAT OR TRUCK. BUT THE NEVER GO WHER THE GINS ARE OR THE ILLEGAL DRUGS. THEY ARE ALL PANSIES THAT SHOULD BE FIRES AND THE WHOLE TGING DISBANMED. It’s standing up against Federal & State Government! It’s standing up against a Stacked Deck. How many of us will “ RISK IT ALL “ ? Only a few. We – CPP – have the numbers but have so far mostly only complained. Action is required on our part first and it should start with our MEDIA not the Government. The Government reacts to the media. That’s sad but it’s what the USA has become. 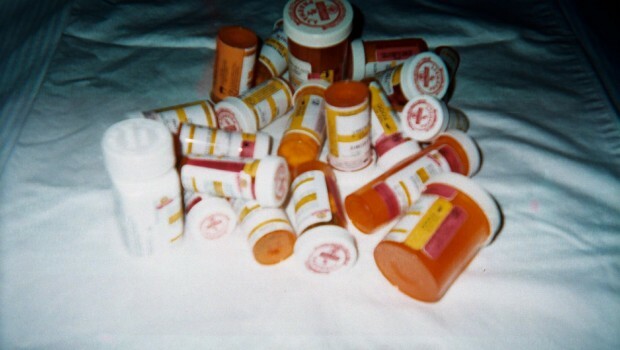 ALL OF THIS CRACK DOWN ON OPIATES, IS BECAUSE PEOPLE DO NOT TAKE THEIR MEDS AS PRESCRIBED!!!!!! ALL THEY WANT TO DO IS GET HIGH, AND NOD-OUT AND WHEN IT WEAR’S OFF THEY POP MORE PILLS. TRUE CHRONI PAIN PATIENTS TAKE THEIR MEDS AS PRESCRIBED. Dr. Oesterling was and is a man of integrity. He was compassionate to his patients and to those who fell on hard times, he accompanied them the best he could. He knew that many of community could not afford Obamacare, so he had signs in his office that spoke to those who didn’t have insurance. These signs informed patients that he would accept reduced cash payments (in many cases what they could afford and with some, nothing at all) in lieu of insurance. That was one of the government claims that he was a “pill mill”. He had real courage. He could have taken the easy way out and settled for a slap on the hand, but no way would he go down that path. Instead of folding by threats that he would be looking at a 30 year sentence, he fought instead. That’s Courage. He put everything on the line because the government seized all of his real assets, bank accounts, retirement accounts, his whole life. In the article you will read that he had to drive around an old VW with 225,000 miles after the Fed’s got done. On the day the verdict came down, the court room was filled with his patients (not easy for some who were wheelchair bound) those who supported his cause. The vast majority of his patients could not find anyone else (Physician) because they didn’t want to take the chance of taking them on. Let’s not forget the legal team that worked for next to nothing because it was the right thing to do. I’m not indicting Doctors by what I’m going to say, but where are all the heros out there that refuse to be dictated to. I know it’s not easy to put your assets on the line, but as far as I can see, Doctors far have more influence than the the patients they treat. We need the help of the Medical Community to stand up against tyranny. Amen to all of you. I’m so sorry to hear about Dr. Tennant. I use to be on his website and I’ve read so much of all he has done and how he has been on the side of chronic pain people and all the research he has done. He is just a great doctor and the DEA and CDC are out to get these doctors. They need to be raiding the real abusers and junkies who will continue to get their drugs and abuse them. You hear so much of this opioid epidemic and it’s the fault of the people who abuse these medications and so many are not getting them for their required use, but to get HIGH! We just need them to have half a life in order to function, but certainly not for a HIGH. I have no idea what that does for them. But if they mess up for illegally abusing them, then I don’t really care what happens to them, it’s their fault and all they do is hurt us, who really are honest and suffering from something very real and it’s cruel to make us out to be the ones in the wrong. I wish Dr. Tennant the best and I know they were out to get him because of his research and knowledge, and know he is one of the best doctors who worked so hard to tying to explain what people in pain are going thru. I don’t think this will get much better unless we can get to someone who understands and right now, this government we are “under” will never understand. I wonder if Rand Paul got pain meds after he got beat up. I’m sure all those most certainly will be taken care of properly while we are not treated with the same respect. That hurts! We are pulling for you Dr. Tennant! @Robert, wow, what a story! I read the article links you provided, thanks. My heart breaks for Dr. O. I can only imagine the stress that he and his family had to endure! I’m thrilled that he was acquitted. Such a positive minded man. He will be blessed for his faith in enduring such a horrific time in his life. It makes you wonder how many other docs are going through also?! God Bless Dr. Tennant and God bless his patients who ae now without pain meds!!! We MUST fight back folks! The DEA will not stop until all drs prescribing opiods are raided and shut down. I cannot believe this is America, the land of the free and home of the brave. There us NO free in America! The corrupt government is controlling every aspect of our lives. Where are the lawyers to help us out!? NOONE wants to touch us as the government and their sidekicks the DEA, CDC, FDA AND PROP has made sure to implant the word addicts on our backs, making us out to look like pill seeking junkies crying for pills!!! My heart goes out to Dr. Tennant and his family and pts. This is a travesty! This man won a lifetime achievement award for f*** sake!! The DEA should not be allowed access into our PRIVATE medical records!! and yet they have thousands of pain pts files, wtf, u want to come after me, come get me scumbags, I will NOT go down without a fight!!!! In my area, the “Thumb of Michigan” the government went after a Doctor who was one of kindest people you could meant. Here was the beginning of the assault by Big Brother against a good man. They took everything away from him, and if that wasn’t bad enough, they told me if he plead guilty, they would cut him a deal. If not, they would through away the key. He told they to shove it and fought back. He was vindicated and here’s the story from the same newspaper reporting on his victory against tyranny. Recently read about a CPP that lives in Virginia. This patient travels to see Dr Tennant every 3 months just for his medication. We must all ask – “ what is too much “ ? Is it the 90MME or does the DEA Just Target outspoken Drs that support the use of Opiates – neither are a criminal offense. Our very freedom is now being threatened while real criminals roam freely. When will our lives matter ? When will Drs again be permitted to treat their parents as they see fit ? If our government does care and wants to help SAVE LIVES – why does the OD rate continue to increase ? I know of a Dr that was raided by DEA SWAT Team all over a single prescription for 5 mg Percocet. This isn’t Law Enforcement it’s Government harassment against disabled Americans and their Drs. There must be a way to bring this injustice to the forefront of all media sources. Americans believe we are all addicts now – that’s the problem we need to fix. The other day a young up and coming rapper died because of an overdose on xanax and other pills. He was filmed on his tour bus just popping them in his mouth like nothing. The first thing that came to mind was here we go again. I was right ,in my opinion every time someone famous or rich overdoses then the crackdowns come down. I’m not saying theirs not Drs or pharmacist who are in the wrong but then it also effects patients who are in constant chronic pain and rely on those meds to just get by. Doing everything that’s asked. There has been times that I’ve had to wait for emails between nurses to be sent and in the meanwhile my meds are stopped just like that. Anyone knows that’s a no no but who am I? I’ve had to learn to be on top of nurses and making sure my medical records are being sent to my Dr. So Frustrated ! My doctor was just indicted. My doctor of 14 years. My anxiety level is high. Dr’s who are on the dea’s radar should chill or they won’t be around to help their patients!When it comes down to my meds I follow the rules of my dr. because I live to my fullest with injections/medication that he prescibes for me.I never have a dirty UA,if he counts, my pills are the correct amount,pay my bill ,what ever the clinic/dr. needs to make it easier for him to raise my dosage,change my meds I conform to make sure I will always be treated with respect as a long time chronic pain sufferer.It is going to be harder now with the parents of over dosed kids/family crying like babies,when it really is no bodys FAULT but those who chose to take the drugs they died from! Hopefully ppl who have the voice that the DEA,FDA listen to, will win this battle for freedom!! Such a disgusting and disturbing travesty! Dr. Tennant is reputable, caring, honest and stands up for his oath and patients…therefore he gets punished?! I cried reading the full report on Google. I cannot imagine he and his wife coming home to find their door kicked in! Why does it have to be that way! Such animals! We must reared up against this mess. We must! As a Pain patient who uses a fentynal patch for chronic unrelenting Pain I’m terrified, are they going to take my personal records and go after my doctor also. 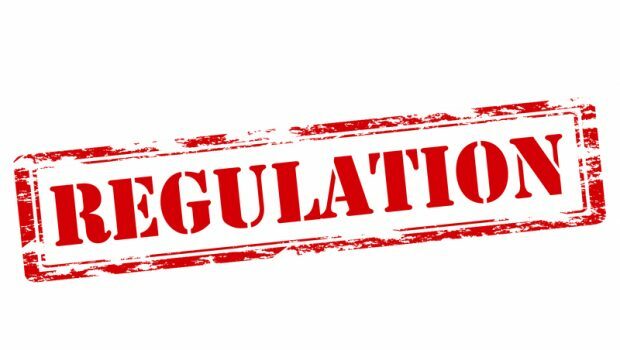 With so many doctors leaving the pain management practice for fear of the overreaching dea, is it no wonder some doctors may have to take on more patients who have been left with out one? I’m so disgusted by all of this. My medication has been cut so drastically already that I’m in constant pain and barely able to leave my house anymore. I’m missing out on so many things and so much life. I feel so horrible now about myself because I try and push myself so hard through the pain but accomplish almost nothing, so hard not to beat myself up and feel like a loser now because I can’t fight when my body is racked with pain and I just can’t do anymore. It’s killing me mentally especially when I know my pain was once under control and I could at least enjoy life a little bit and actually get out and spend time with family and friends. So sad what is happening to pain patients when we’re responsible and have not wished these painful disease and conditions on ourselves and are no way responsible for what drug addicts choose or can’t control what they themselves are doing. It’s got to stop!!! They are ONLY going after him because he is trying to help us. Tell Dr. Tennant thank you and let us know how to help. Rallys?? Pickets?? Letters are doing nothening. They dont have enough to do with the meth epidemic remember it.They must not so now its pain meds.ENOUGH. this is what our country is coming to . Two days ago I know a lady who was bartending and she was stocking coolers as she was carrying a few 6packs of bottles she fell. she tripped and fell her hands were swollen full of glass and knee instantly started to swell. ER after checking her in refused to give her anything for pain, Her Knee cap is busted .No Pain med she was told to take Aleeve. that is how scared doctors are because of Government interferance. that is illegal. She may become a drug addict. Canada passed a law for certain hard herion cases doctors can prescribe herion pharma strength . …like some kind of pharmacy? Who do they think they are? Pharmacists? He’s also been speaking out about the crackdown on treating pain patients. He’s also been advocating for doctors to decide if a doctor is overprescribing instead of a cop/DEA agent making that decision with no training. The DEA is practicing medicine without a license. Dr. Tennant as well as my former Pain Doctor are being unfairly attacked, they have the much needed training to help those of us with chronic pain, when every kind of theraphy and supplements and herbs and Medications don’t help. They listen to us and use their training to help ease our pain. I have been a big fan of Dr. Forest Tennant because of all his information on my disease, Central Pain Syndrome. We need a bunch of petitions out their to save these wonderful doctors. Dr. Tennant is one of the most knowledgeable and compassionate pain specialists in the world. His crime was that he speaks truth. EVERY PATIENT THAT SEES ANY PAIN DOCTOR MUST REALIZE THE DEA, WITHOUT YOUR PERMISSION HAS YOUR MEDICAL RECORDS. TGOS IS A BLATENT VIOLATION OF HIPPA AND DR PATIENT PRIVILEDGE. THE US GOVT DOES NOT HAVE THE RIGHT TO ACCESS YOUR RECORDS WITHOUT CAUSE. EVERYTHING THE DEA HAS DONE HAS BEEN ON SUPPOSITION. A FISHIMG EXPIDITION. I AM ONE THAT NEEDS ANY ATTY TO FIGHT THIS AND GET MY MEDICINE BACK TO STOP THE TORTURE, BUT IM GOING TO GET RICH IN THE PROCESS. ALTHOUGJ THERE IS AN OPIOID DATA BASE, THIS DOES NOT JUSTIFY THE RELEASE OF OUR RECORDS WHICH CONTAIN ALL OF OUR PERSONAL INFORMATION. WE MUST FIGHT. DR TENNENTS RAID WAS THE STRAW TJAT BROKE THE CAMELS BACK. THIS IS NOT NAZI GERMANY AND THE DEA IS NOT THE GESTAPO. Please contact me if any protests, or court dates are set . I want to be there. Alternative therapies (i.e. acupuncture, massage, water therapy, exercise, etc.) should never be required before opioids are considered as a viable option between the Dr and chronic pain patient. For one, they can be expensive, even if insurance is helping out. My insurance makes them only a copay, but that copay is still $40. That adds up fast or becomes prohibive when you need to see them weekly, twice a week, or even daily because the pain requires it. More importantly, does the chronic pain patients health even warrant trying the alternative therapies. With my health condition (one of several) almost all exercise will make the pain much worse and the only exercise I can do requires me to travel to a heated, non chlorine pool to swim. Just the travel wears me out a bit from the pain. I simply do not have the energy to do this on a daily basis….and if I tried, it would cause my condition to worsen from the exertion. My Dr has discussed other alternative therapies with me that he wants me to look into that MIGHT help. I HAVE followed up on all therapies he has brought up….I will try almost anything if I can afford it…and even then…I will at least try something out even if I don’t foresee being able to afford to do it in the long run….I will TRY if my Dr thinks its a good fit for me. However, no matter how much I try…opioids are simply what works. They have worked for the last 12 years. I have had my dose move up much in that time, I also don’t experience any euphoria or side effects. They don’t get rid of all of the pain, I’ve gotten used to always being in some form of pain, but its at least tolerable pain….usually. If the government agencies that be make alternative therapies a requirement to get opioids, not only will I not be able to afford it, but it will cause me to be in intolerable pain for who knows how long. In addition, there are reports of some therapies being no more than essentially placebo effect. Dr. Tennant, followed his oath. I back him 100%. He has done the correct treatment. I know a few people who are chronic pain suffers and a barley holding on to their lives without any medication except OTC. Which is more harmful that opiods prescribed by a dr. Who has a dr.s conscience. Thank you Dr. Tennant for following your oath and caring for your fellow man. Amina’s are treated better than hipuman beings at this point. This Dr. Kolondy’s only concern is $$$ and nothing more or less. Not his fellow man, not any oath as a Dr. Only $$. A real shame for the chronic pain suffer. I TOLD EVERYONE, THE GOVERNMENT NEEDS TO STAY OUT OF THE WAY DOCTORS TAKE CARE OF THERE PATIENTS !!!!! CHRONIC PAIN IS HELL !!!! LET OUR DOCTORS DO THEIR JOBS, AND LEAVE US CHRONIC PAIN PATIENTS ALONE. SICK OF IT ALL !!!!! I’AM A DISABLED VETERAN, THE GOVERNMENT DID THIS !!!! BACK OFF !!!! I downloaded Dr. Tennant’s “Arachnoiditis Recovery Guide” after completing the arachnoiditis survey to help one determine if he or she has this incredibly painful condition. I have it the pain experienced without opioids makes one suicidal. I have been following his recovery guide which includes some OTC vitamins and natural products. It is ironic that this disease is caused by an non FDA approved procedure called ELSI or “epidural lumbar steroid injection” and the lumbar injections of Unsafe and Inappropriate Use of Depo-Medrol For Epidural Steroid Injection Procedures. Dr. Tennant was not just a pain management doctor, he was a medical researcher that had looked at magnetic resonance images from over 300 patient from around the world that had the same type of severe pain complaints. The type of pain that can send someone into shock and cause death. I do not expect a DEA agent to understand simple biology much less medicine. The DEA agent should be rounding up the illicit and counterfeit cooks and traffickers yet they are out there beating up old doctors and sick people. The DEA and the Department of Justice has really crossed the line here. Infact, these patients will be in so much pain if not treated, if will feel as though they have a 9mm bullet lodged in their spine. What are they going to do next…Raid an oncology floor at a California Hospital??? Is it possible that some doctors that are assumed as prescribing too much opioids, could be doctors in which people trust and are good enough doctors that their patients come from all over and they have a greater patient count than other doctors? And so it looks as though they are over prescribing? This is part of the DEAs scare tactics. Dr.Tennant knew this would happen eventually but has put his oath first! May we as a community stand up with him. He has certainly stood with us. We are not addicts or criminals. We are patients and citizens we havr a voice leys use it#leaveourmedsalone! Just another example of Kolondy’s crimes against pain patients and more proof he’s on the payroll of nbig pharma. He should be tried for his evil actions!